An obstacle? 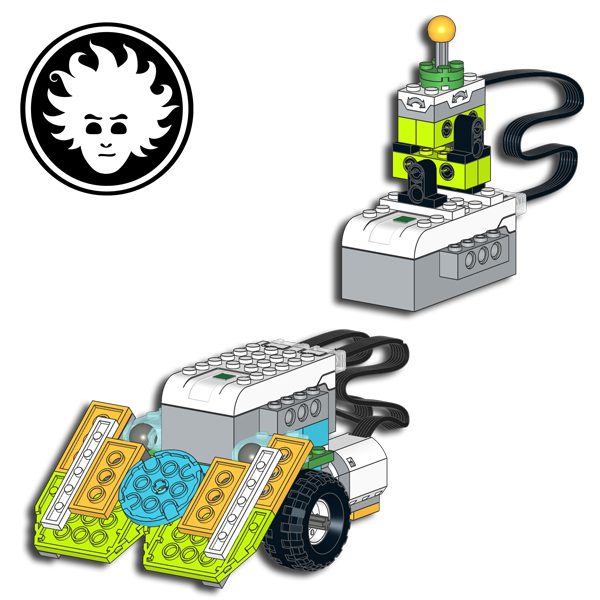 Don’t worry, I can steer! 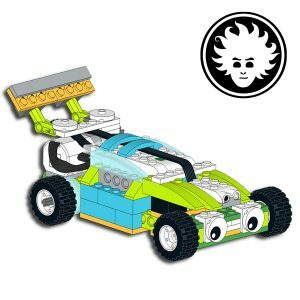 September 2018: This Racing Car is built with the parts from the LEGO Education WeDo 2.0 set. 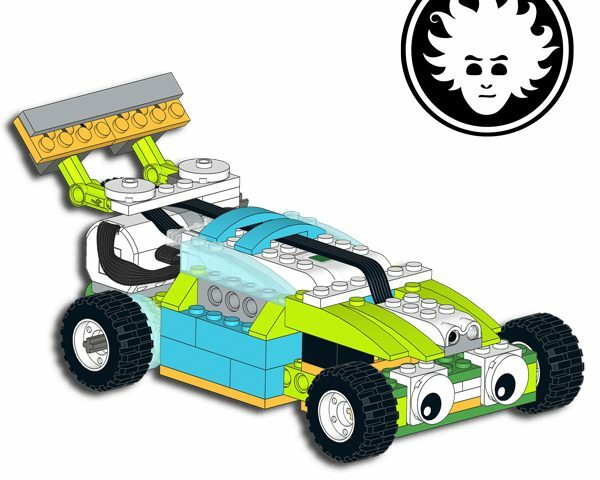 This car can drive straight, and steer when driving backwards using just one motor, thanks to a special mechanism. You can customize this Racing Car and program it to avoid obstacles. 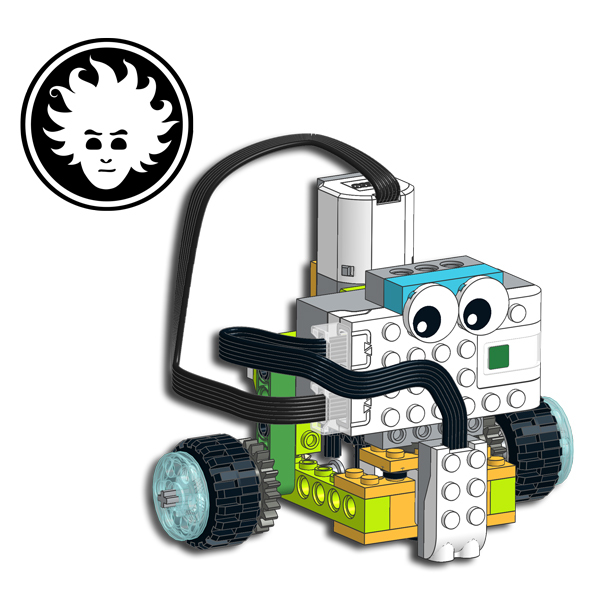 You can even remote control it using the WeDo app! 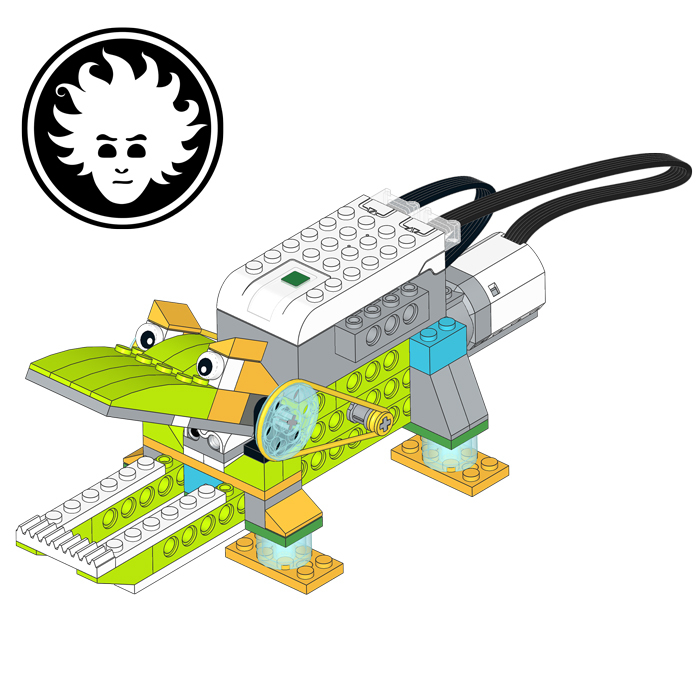 You can use this project as an inspiration to make other WeDo 2.0 steering vehicles that can drive and steer using just a motor.